As a sport athlete it doesn’t matter who got you into the sport that you play now. It does not matter where you grew up. Doesn’t matter what school you attended. The only thing that truly matter was you believing in yourself. Somebody can start you at the starting line, but nobody can get you to the finish line if you don’t believe within who you are. Sure family and friends will be there when you fall and pick you up. Yet, the drive and the hard work is dedication of your own heart. How bad do you want it? How much can you taste it? When you have completed and succeeded to where you are and needed to be, than you should take great pride by getting there. With that being said, showing that you are the man or woman that you wanted to be, and being proud came the clothing product called BIO. The word BIO really breaks down to the words Believe In One. The owner and creator of this brand name Daniel Megeath, lives in Front Royal, VA. Some Washington Redskins players have become vocal about this new clothing brand and have been sponsoring it. The biggest supporter is Darrel Young who is the Washington Redskins starting fullback. Yet even RG3 is showing love to Megeath by wearing the bracelet BIO on his wrist. It does not stop there though with the Washington Redskins players. The Redskins personal trainer Carl McKinnon jumped on board of wearing the brand. It all started with the Washington Redskins and recently it has been moving to the other industries. 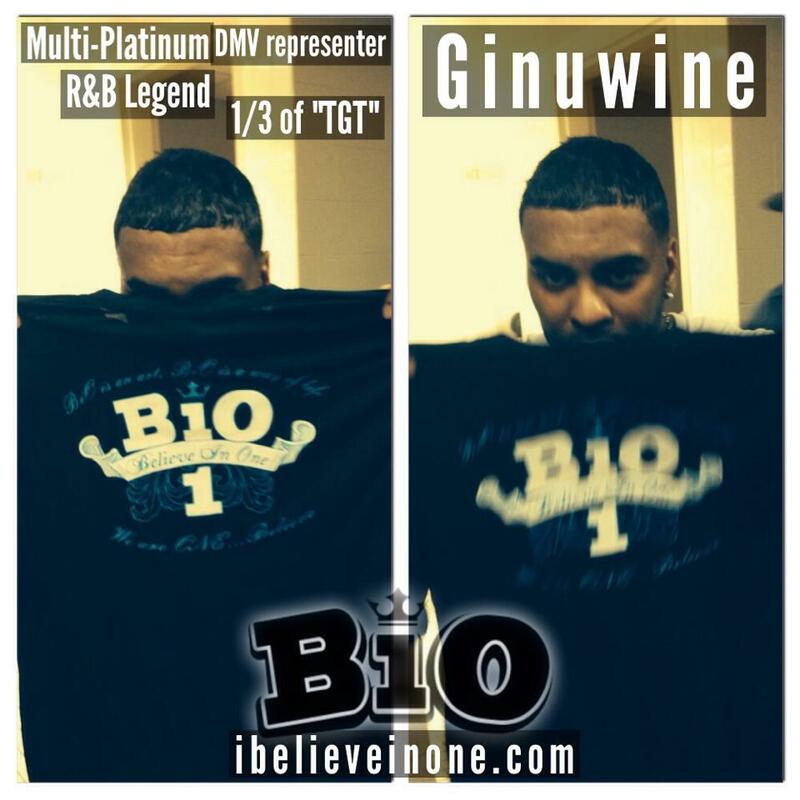 Singer and dancer Elgin Baylor Lumpkin known as Ginuwine posted a picture of himself with BIO t-shirt last night. Megeath told his story of how in life people said he was never good enough or he couldn’t make it. Yet, there was something beating in Megeath that nobody could take away from him. That one thing that was beating, was Megeath’s heart that kept speaking saying to him, believe in you. Believe in one! So, not only if you are a player but a fan you should visit Megeath’s site. We all have been there sometime in life where we were put down. I remember watching the madden game intro video of Ray Lewis. The video starts out that Lewis was too small and too slow. The thought crossed my mind that people really didn’t know what they were talking about when judging Lewis skills. The only person that Lewis believed in was himself. This is your time to do the same and show it. Visit the link below and check out the designs. If you don’t see what you like, don’t worry. They can make you what you like. I hope that you can hit share with the other social media regarding this brand clothing wear. Sometimes a brand is just a brand somebody made up but never put passion and love into it. Other times there is a meaning to it and it builds people self-esteem. This is that brand! When you see it on the streets or social media, it says to you NEVER GIVE UP. BELIEVE IN ONE!!!!! SIDE NOTE: If you live by Leesburg, VA you are invited to meet Darrel Young. Young will be coming to Carl’s Fitness Studio, 705E Market St, Leesburg, VA 20176 on May 17th. It is only $10.00 to get in. It is not only to meet and greet Young but also host and talk about BIO. As well, the $10.00 includes an autograph from Young. THREE INTERVIEWS, PLEASE SHARE WITH STEELERS FANS! 1. Read and listen to the interviews and smile because of your passion for the players. 2. 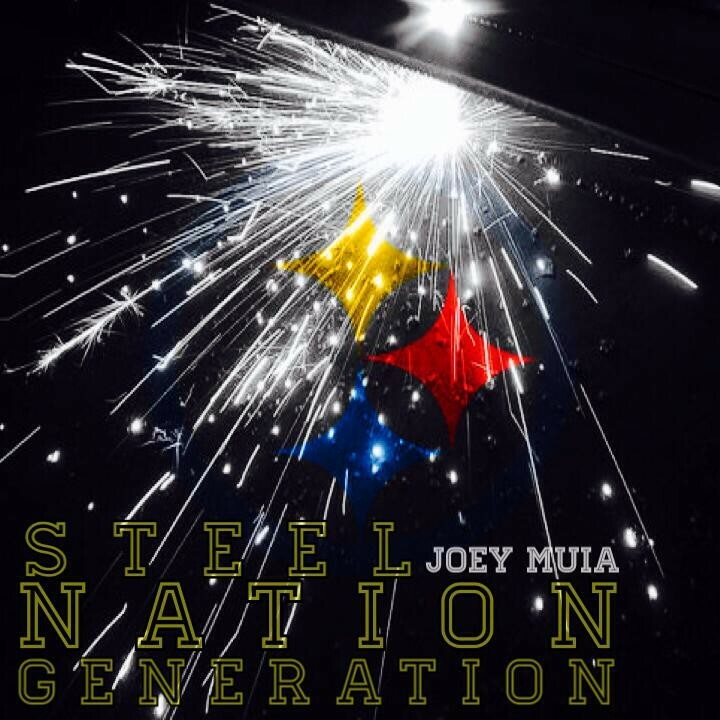 Share the information to other Steelers fans so they can read and listen to it as well. My blog site has been viewed by 24 countries and I want all 24 to see and hear these GREAT interviews. Steelers Nation be proud of these three men and wish them the best of luck today, tomorrow, and always. Is the NFL Draft overrated? Do you really care about the NFL Draft? Teams will start scouting players and finding out who would fit their gap on their roster with hopes of a superstar emerging. The question though, is it overrated? So many players that are picked up in the 1st round have fell short of their dreams in the NFL. As some players shine and succeed others players will vanish from the spot light and never be seen or heard from again. Players are coming from small school into the National Football League and have done well to show light that they can come from a small town or school. You have players that never even get drafted on draft day and become stars later on in the league. You have players like Warren Moon, John Randle, Brian Waters, Priest Holmes, Antonio Gates, and Tony Romo who was not drafted on draft day. For us Steelers fans you had Willie Parker, James Harrison, Donnie Shell, Steve McLendon, and Jack Butler. Out of those names who would you want to draft in an 8 round draft? I am sure you would pick all above. Now you do have 1st round picks be elite and of course we know who they are. Players like Peyton Manning, Deion Sanders, Emmitt Smith, Warren Sapp, Lawrence Taylor, Jerry Rice, Barry Sanders, Joe Greene and others. Those are special players that help win Superbowls. Yet last I looked you have 11 men on the field and those that were undrafted were and are special to make a team a contender in the playoffs plus Superbowl. Now, not all 1st round picks go as well as teams would like. Take players like Ryan Leaf, Tim Couch, Cade McNown, David Carr, Heath Shuler, and Akili Smith who all fell so short of being a remember for good skills at their positions. So what is the truth about the draft? Shouldn’t the 1st round be so easy to pick and the people that don’t get drafted be never heard from again? Yet it seems you can be a player that never got drafted and become a superstar in this league. Try to tell me 40 years from now when talking about good Superbowls people will not mention the interception of James Harrison. Not only did he intercept the ball but returned 100 yards with no time on the clock. So come draft day, you will hear experts say who teams should draft and shouldn’t pickup. Yet why not base your opinion on the person underneath the helmet? Last draft I did a prayer that we pick up Shamarko Thomas because of his hard life he experience. My prayer was answered and to be very honest, I am thrilled. Not only is he a man of character under the helmet but will be a heck of a football player. So why not you try to base it on the character the person is, instead of the college game. As Tim Tebow can show, college is way different. So many players can look good in the college game but the National Football League is full of grown men who can hit and run a lot faster. I am sure you will have a college star like Christopher Weinke who was 25 years old playing for Florida State tell you that College is a grown man sport. The school even retired his jersey. How well did Weinke do in the National Football League? His quarterback rating was 62.2. So again, don’t come to me saying this player is a bust or this player is a stud. The truth is, what makes them is the character in who they are. Some players can fake it and other players can make it. I just wanted to update one of my blogs. 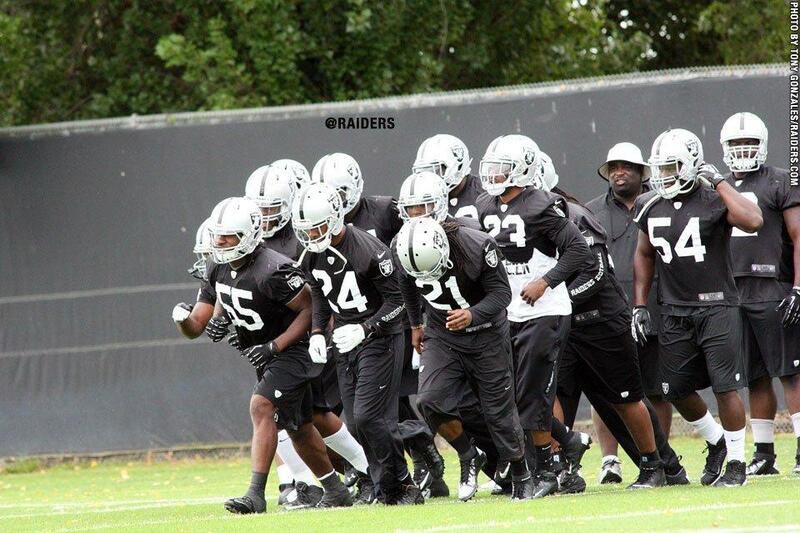 Marshall McFadden has join the Oakland Raiders now. The Steelers released him as well as some other great talented players. The Steelers media did not see this coming. As many know, McFadden was compared to James Harrison. He will be missed on the Pittsburgh Steelers. 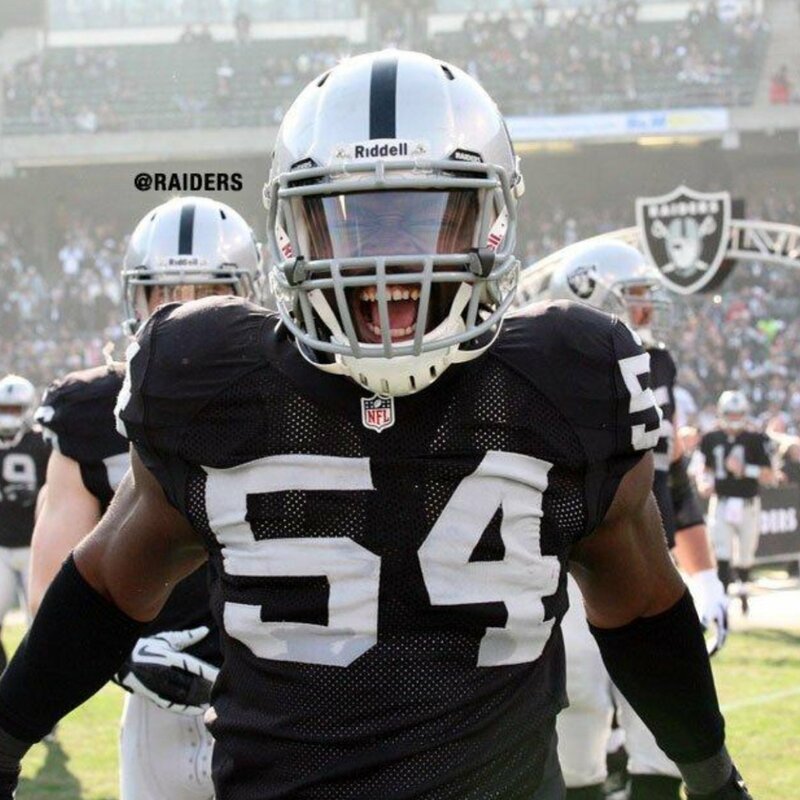 I wish him the best of luck with the Raiders.